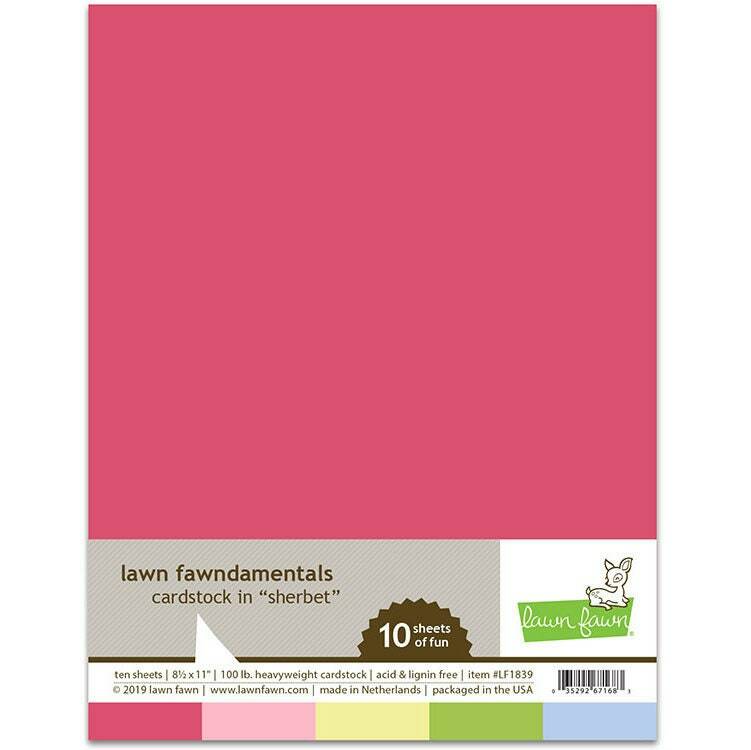 Dish up a lot of fun with the Sherbet 10 Pack 8.5" x 11" Cardstock from Lawn Fawn! There are 10 sheets of 100 lb. heavyweight cardstock included in the colors dark pink, light pink, yellow, green and light blue (2 sheets of each color). Made in the USA.